On Wednesday 21st January 2015, the ExCeL in London opens its doors to the world’s leading educational technology show. As well as being a trade show, BETT provides an opportunity for attendees to hear world-famous speakers like education visionary Sir Ken Robinson and Wikipedia founder Jimmy Wales talk; to meet like-minded teachers, academics and technicians to share good practice; to attend free training sessions; and to find out more about what is happening in the world of ed-tech. For the first time, our entire education team will be on hand, in our own curated space to answer questions, run Picademy-style workshops, and share our passion for Raspberry Pi in education. Have some Pis in your school and want to get going with physical computing? Then Clive Beale has a giant GPIO model and will be using it in his ‘Let’s get Physical’ workshops. Are you a science teacher who wants to hear more about our weather station and space (Astro Pi) projects? Creative computer scientist, Dave Honess, will be giving demos across the four days. 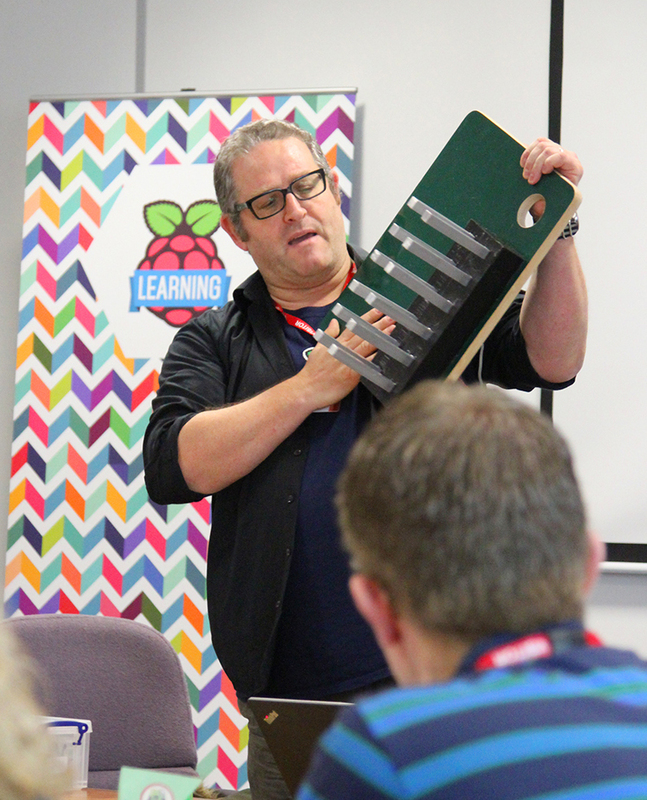 Heard that we offer free resources to teach, learn and make with Raspberry Pi? Resource and web man Ben Nuttall will be able to tell you more. Want explosions? We’ve got plans for some of those too. It’s not just the fun-loving foundation team who will be sharing Pi related activities. 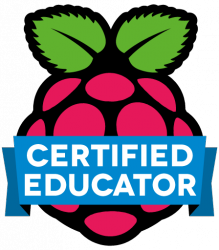 We will be joined by many of our Raspberry Pi Certified Educators and members of our friendly and active community too. To name but a few from our amazing line-up: we’ll be hosting Dr Sam Aaron, creator of Sonic Pi; authors Martin O’Hanlon and David Whale; representatives from Wolfram, Code Club and Nature Bytes. 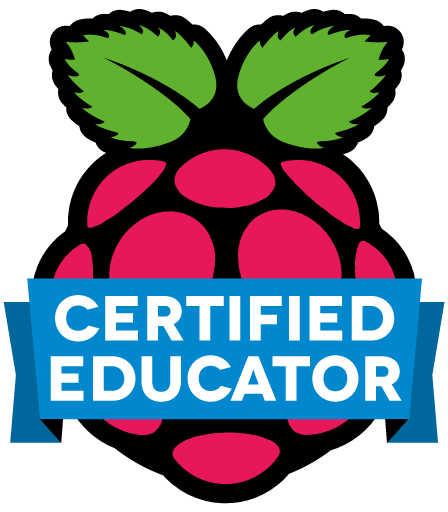 Some sessions will be lead by our Raspberry Pi Certified Educators. We’ve created a timetable of sessions on offer so that you can select those that interest you in advance. I would love to work for RaspberryPi presenting, marketing and promoting the CSR values at shows like this. That GPIO model is a great visual aid for sure. Good skills. Hi Andy! Carrie Anne – if you’re reading, that’s Andy with the AMAZING TRUCK. Different in the Queen’s English from the way you do it in the former colonies, I’m afraid, but it *would* have been a nice spot if we were American! Honestly, ‘led’ (as in, ‘will be led by’) is the correct British spelling for the sentence used on that badge. ‘Lead’ is the correct spelling only in a sentence like ‘one of our representatives will lead the course’. I wouldn’t normally push it, but it’s on a badge being produced by an educational institution so it does matter. But no allowance for my poor truck? I’m sad. BTW, keep up the excellent work. I’ll be at Bett this year. I’d love to update people on Pi in AU if they have free time. Alec, looking forward to an update at the Melbourne Raspberry Pi Jam. I’d strongly recommend point out just how much more effective the Raspberry Pi is for teaching than certain overpriced tablets. This includes access to course web sites as well as basic word processing. Oh, and you can program it too. Actually, I’m sure you’ll do all of the above. It’s just that of late I’ve become particularly concerned about overpriced consumer (not producer) products taking all the money. And here I was thinking GPIO stood for General Purpose Input/Output, only to discover it really stands for Giant Peripheral Indicating Object :D I seriously need some Big Iron size props like that for my classes and the Great Best Coast Raspberry Jamboree that I’m planning for this Summer. Yes, you heard it here first, folks, I am officially committing to putting on the largest Pi cofab in the universe right here in SillyCon Valley, so start getting ready to enjoy our own monkeys wearing hats and other articles of clothing, pin-the-tail-on-the-donkey featuring live donkeys, and more cake than you can stuff in your Pi hole! Oh, yeah, and we’ll be teaching how to do all manner of neat things with a Pi and every single peripheral that’s ever been attached to a Pi (assuming we are provided samples of things we don’t already have).